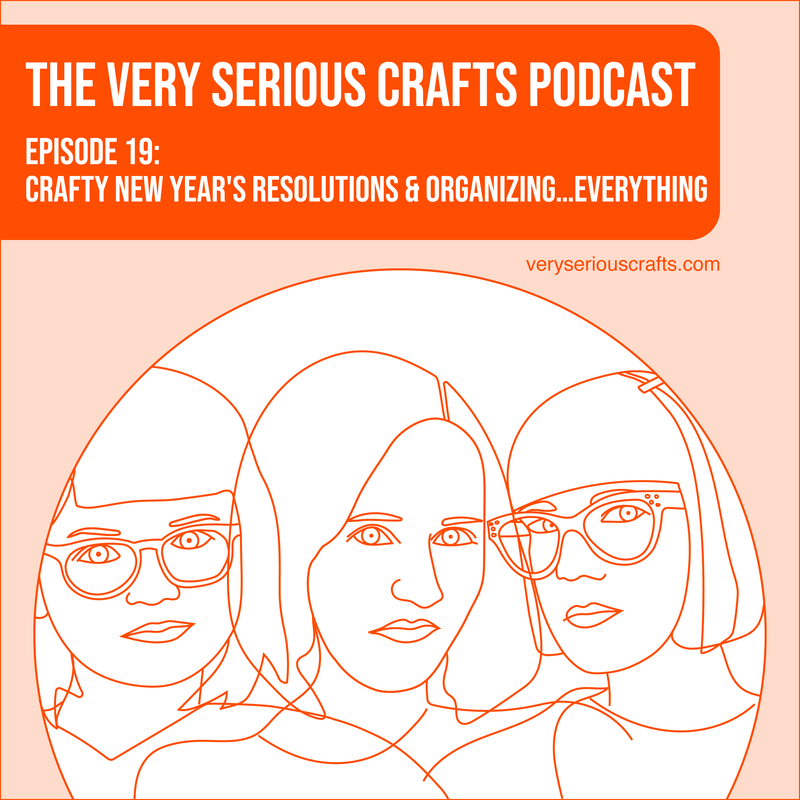 Hello, and welcome to The Very Serious Crafts Podcast, Season 1: Episode 19 – Crafty New Year’s Resolutions and Organizing…Everything! You may be relieved to find out that no additional tattoos were acquired in the wake of this episode. Get ready, Chicago! We Very Serious Crafters have an exciting event announcement to make! On Saturday, January 26 from 1-3 pm we will be hosting our first live show at the Harold Washington Library Center, the main branch of Chicago Public Library. First, we’ll be recording an episode live, then we’ll stick around for a fun make-and-take craft hour! Please note that this program is for adults only and registration is required. Register here. In episode 19 of the Very Serious Crafts Podcast, the girls make crafty plans for the new year (as if they don’t already craft enough! ), and Haley and Heidi try to get Mollie off the straight and narrow. Ready to subscribe? 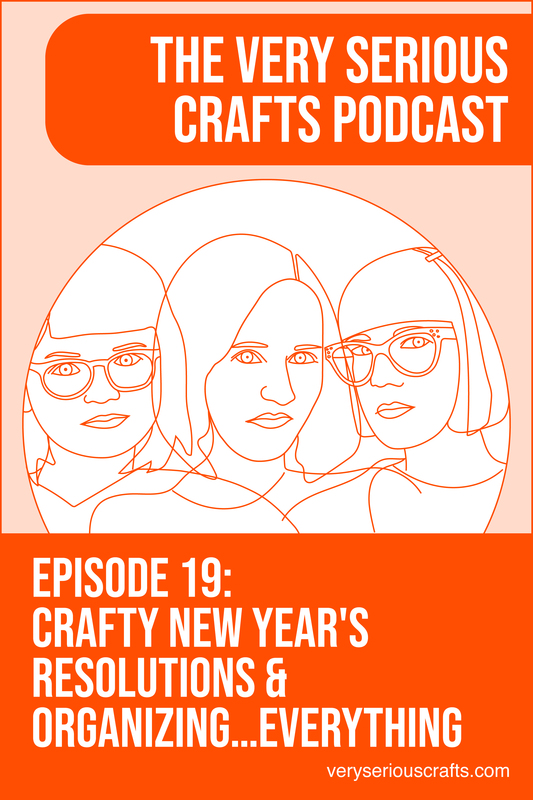 Head on over to our fancy Listen and Subscribe page to subscribe to the Very Serious Crafts Podcast via the app or podcast purveyor of your choice. We also have an option for subscribing directly via RSS feed, so our podcast should play quite nicely with most platforms! Now that you’ve listened to the episode, perhaps you’d like to see the projects, resources, and photos we mentioned? Haley Pierson-Cox writes the craft blog https://www.redhandledscissors.com/. She's a knitter, sewer, maker, cross-stitcher, lover of cats, purveyor of quirk, and avid swearing enthusiast! (But not on this podcast!) She's also sometimes an irritable cartoon called Tiny Cranky Haley.